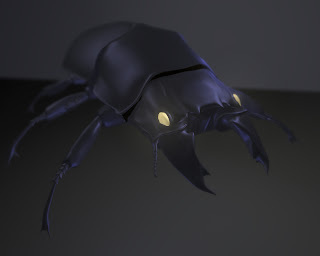 Just a quick render of my bug I am working on. I just did a quick color map to turn in for a critique, but this probably(in a somewhat Brent voice) won't be the final version. So you think you can start a blog and not tell anyone...nice try! I found you anyway. Nice bug can't wait to see it fully textured.